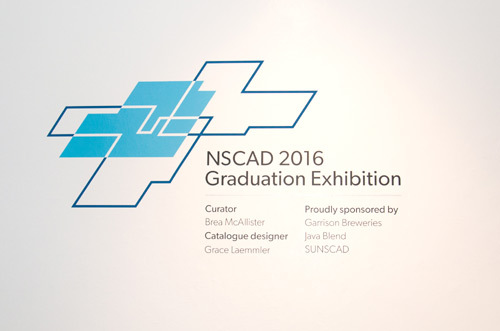 Here’s a look back at NSCAD’s 2016 Graduation Ceremony — congratulations Class of 2016! Architect Todd Saunders and filmmaker Marcia Connolly are both graduates of NSCAD University. 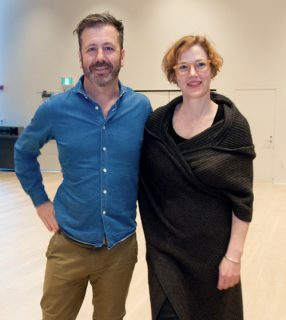 Graduation festivities began on Thursday afternoon, April 28, with a screening of Strange and Familiar: Architecture on Fogo Island at Halifax Central Library. The award-winning documentary explores the collaboration of visionary Zita Cobb and architect Todd Saunders (NSCAD’s 2016 Honorary Degree Recipient) in creating the Fogo Island Inn and artists’ studios. The film was made by Katherine Knight (BFA 1980), David Craig (BFA 1977) and Marcia Connolly (BFA 1995). The film won two awards at the 2015 Atlantic Film Festival: best Atlantic documentary and best Atlantic cinematography (Marcia Connolly). Paul O’Regan Hall at Halifax Central Library was packed for the screening, and many people remained for the Q and A with Marcia Connolly and Todd Saunders afterwards. Following the film screening, the action moved to the Anna Leonowens Gallery for the opening of the 2016 Graduation Exhibition and the launch of the 2016 Graduation Catalogue. 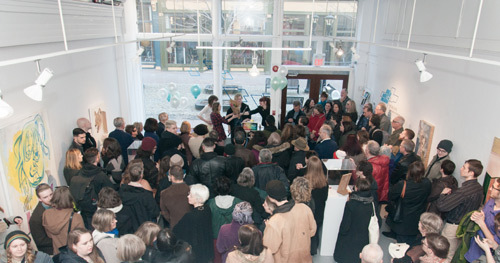 The Anna Leonowens Gallery was shoulder-to-shoulder as people listened to speeches and cheered as the wooden crate holding the catalogues was opened. 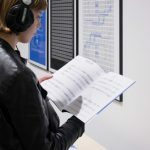 The Graduation Exhibition, which is on display in all three galleries at the Anna Leonowens Gallery and also at the Port Loggia Gallery, comprises 100 artworks by graduating students. NSCAD student Brea MacAllistar was the curator, while Grace Laemmler was the designer for the catalogue. NSCAD President Dianne Taylor-Gearing addresses the graduands. The 2016 Graduation Ceremony was uniquely NSCAD, opening with a blessing by Aboriginal Elder Debbie Eisan and closing with a performance by the Amethyst Scottish Dancers of Nova Scotia. 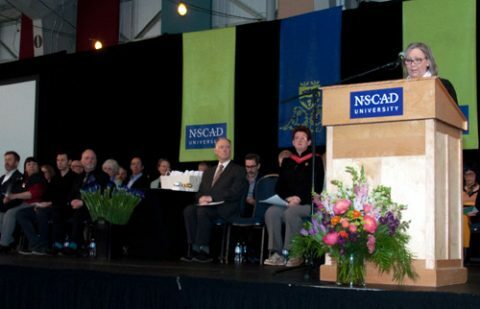 The welcome was provided by NSCAD President Dianne Taylor-Gearing, who addressed the graduands directly. 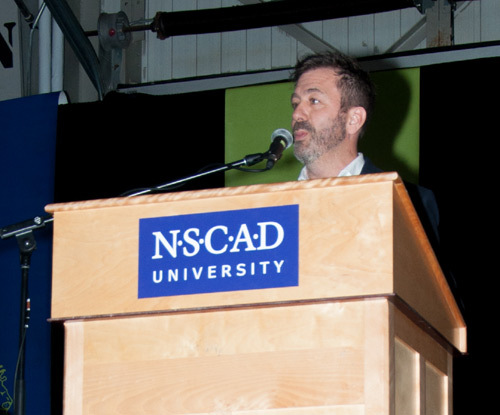 On behalf of the NSCAD University community, a sincere welcome to all! Honored guests, Board of Governors, family, friends and supporters, thank you for joining us today. I would like to acknowledge the Graduating Class of 2016, the family members and friends who supported them through their art school journey; the esteemed faculty who inspired them with their passion; and the staff who nurtured them beyond the studio. I’m so happy that we can come together in this place, on this day, to share in this celebration. 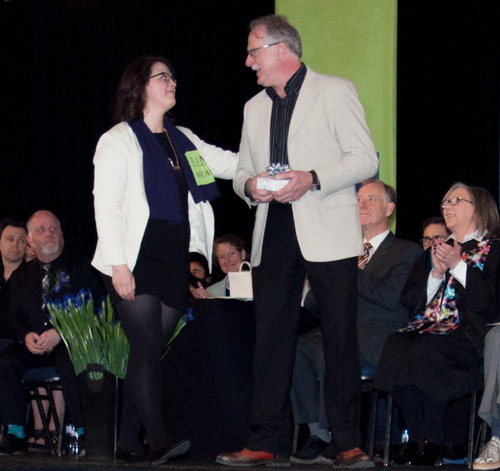 It is an honor to serve as NSCAD’s President and to represent our creative community wherever I go. The NSCAD spirit, the creativity, the innovation, the critical dialogue, the collisions, the passion, the sharing and deep bonds — this community is the absolute best. NSCAD talent is everywhere; with a 129-year history our connections run deep and reach far and wide across the world. Graduands, today you will graduate and a chapter of your life journey will close and you will take the first step into your future. Think of how far you have come. Reflect upon that first grey scale you made for Foundation Drawing. The box you made for Foundation Wood and Metal. The group performance you did in Foundation Movement. How many times have you taken a risk, been challenged to the extreme and really thought you couldn’t endure something a minute longer? The perspective drawing all out of whack. That roll of black-and-white film that came out completely blank. The essay that you left to write until the day before it was due. You have learned from these experiences, you have learned to explore your curiosity, to take risks and follow your dreams, to express your passion and to push yourself even further. Now think of the work you submitted to the Graduation Catalogue or created for your show at the Anna Leonowens Gallery. Look at how far you’ve come during your journey at NSCAD. Each of you here today has a story to tell about why you made the choice to come here; the friendships you made; the challenges and triumphs you faced; the faculty members and classmates who inspired you and kept you going with their support and encouragement. Every one of you can think of a pivotal moment at NSCAD when you just got it and your creativity was unleashed! Wow, that’s art school. That’s creativity enabling innovation. And that’s what sets you apart from other university or college graduates. The risks you take, the mistakes you make, the tangents you decide to explore … all these things will serve you well when you step beyond the studios of NSCAD and take on whatever it is you choose to do next. Yes, graduation can be daunting, but again, I remind you, look how far you’ve come and how ready you are for that next step. As you transition from NSCAD students to NSCAD alumni, you’ve become a part of a network of creative professionals around the world. People like you who get NSCAD. Who know what it’s like to get lost in a stairwell you swear you’ve never seen before. Or to go to a Monday gallery opening at the end of the day. Or to go to a university that has its own Art Bar. I mean, how awesome is that. 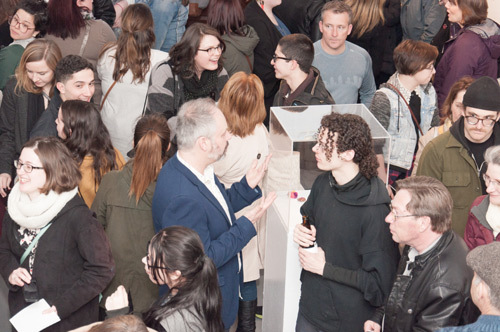 The friends you’ve made here at NSCAD will be your friends for life. I will miss you at NSCAD, I will miss your voices that express your passion. I will miss your sharing of ideas and your personal invites to your shows and exhibitions. We will all miss you — your spirit, your concern for each other and our community. You will continue to astonish us and we will look forward to toasting your future accomplishments. Katherine Nakaska comes on the stage to accept the Governor General’s Silver Medal, recognizing academic excellence at the undergraduate level at NSCAD. Professor Robert Bean introduced Katherine Nakaska, winner of the Governor General’s Silver Academic Medal, and Evan Rensch, winner of the Governor General’s Gold Academic Medal. Both Katherine and Evan graduated in 2015 and were photography majors. 2016 Honorary Degree Recipient Todd Saunders rejected his prepared speech and spoke off the cuff. The 2016 Honorary Doctorate of Fine Arts was awarded to Todd Saunders (BDes 1992), who gave an off-the-cuff speech to graduates about the need to challenge themselves and avoid complacency. He was introduced by Professor Neil Forrest. 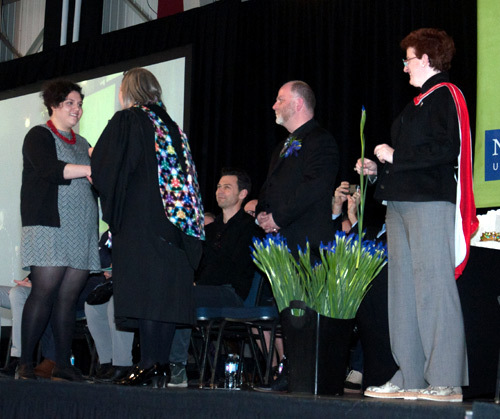 Cinthia Arias is congratulated by NSCAD President Dianne Taylor-Gearing upon receiving her degree. SUNSCAD president Gabriel Soligo introduced 2016 Valedictorian Cinthia Arias. I took this quote from a book called The Truce by Mario Benedetti, a writer from Uruguay. I use this quote as a warning and a reminder. A warning that this will be cheesy, and a reminder that this is a valedictorian speech, of course is going to be cheesy. Since I was a kid growing up in Ecuador I always felt like a had a knife embedded on my chest. Let’s call this knife “self-awareness” And sometimes people around me will twist it not because they meant any harm but because we speak without necessarily thinking. And you know you’re a kid and time seems eternal, and you pray, at least I did because I was raised Catholic, you pray to whoever would listen, to take this away, this curse that will later become a gift. And sometimes after years of carrying this with you, you stumble upon people that had something similar at first it doesn’t seem obvious. Like, what can a 24-year-old Ecuadorian girl, have in common with a German man born in 1877 or a 73-year-old woman from Peru? The knife. I found these writers that would speak to me and will share everything about themselves through their characters. Characters that, too this day, I love. And when you find people like this, you keep looking to find even more. Is like an obsession that takes over you. I will read everything that fell in my hands. Finding all the little truths that I couldn’t get from “real” people. I got older and I found these men and women in other disciplines. And one day I encounter a book on modern art. I thought it was fascinating and I did not understand a single thing about it, that hasn’t change much. This book filled me up with so many questions; I’ve never seen anything like this before. This book is why I chose art. Because it presented itself not as a truth but as a question, it presented all the possible worlds. I could use the awareness that I found so infuriating in my early years and use it as a life jacket and not an anchor. And like you fellow graduates, I started the journey of art school. Some of you moved from small towns around Halifax, or from other provinces, and others, like me, from other countries. Honestly I never thought that I will get this far. And it was one of the best decisions I’ve ever made. I think we all have the fear of starting something new, but the thing is that life is made up a constantly starting again and again and again. I didn’t know what to expect really and of course no one warns you about how much struggle is on growth. 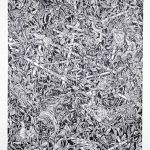 The struggle that is to figure out your art practice without following the linear pattern of: think, make, think, make, think, make, actually understanding what linear pattern means. The struggle of feeling like too much and not enough at the same time. The struggle of opening a bank account, of cooking, of being alone. But it all paid off. You walked into the storm, not knowing what to expect and you came out the other side. You made it. After all art school threw at you, the end of semester stress, the crits, the long nights at studio, the readings. I finished school on December and I’ve been out for four months now. I would like to tell you that I found my dream job. Or any art-related job, for that matter. But we live in a capitalist society and getting art jobs is not that easy. I actually work two jobs at different restaurants. I barely sleep and I complain a lot, but what makes me keep going back, are a couple of things. Don’t forget why you came here, people don’t come to art school to make money, if you did and hope to be the next Damien Hirst, well good luck with that. You come to art school to use the equipment that you couldn’t otherwise afford, for the community, for the feedback, you come here to share and construct realities through other people. The second one is the voice in the back of my head that screams: DO NOT LET YOUR PRACTICE DIE!!! It doesn’t matter what kind of practice. A craft practice, a design practice, an art practice. Whatever it is. DO NOT LET YOUR PRACTICE DIE!!! There is no point on being a broke artist if you’re not working on your practice. Do not let your crappy day job get in the way. Don’t let life get in the way. Don’t let anyone get in the way. Treat your practice as research, research that needs to be done. Apply for everything, the grant, the residency, the internship, the mentorship program; even if it seems impossible, because of whatever story you keep telling to yourself about how you’re not good enough. And if you fail, well you go and begin again. and again and a million times. Because the problem is not failing but not asking. If you don’t ask the answer will always be no. So speak up. And ask without shame. And remember that asking is not begging, when you’re putting on the work. So now, Class of 2016, get out there and ask, and take this day as an opportunity to start again.